This daily hand cream with rosehip oil provides much needed moisture to mature skin while helping to reduce the appearance of brown spots. Squeeze onto palms and massage into hands as often as required. 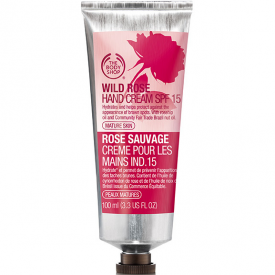 This is step three of the Wild Rose hand care regime: a complete cleanse, target, moisturise and treat range. 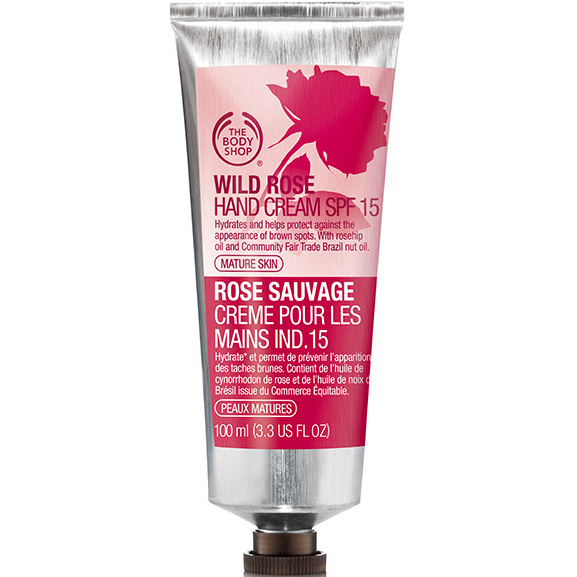 This is just the best hand cream i have tried, The fragrance is a delicate rose, the cream absorbs easily with non greasy residue. The SPF 15 has meant that my hands have not been affected by the sun and are now smooth and soft. 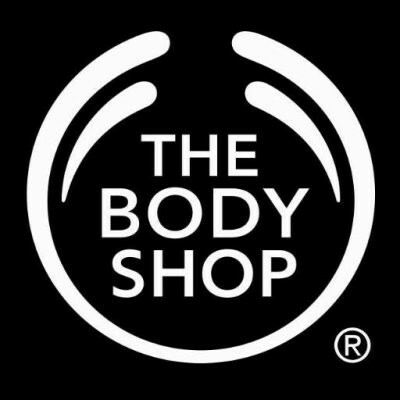 Body Shop hand creams are something that does tempt me back into their shops as the cream is quite thick and I feel it gives a really good protection. the fact that this also has SPF protection makes it perfect for summer when your hands often get forgotten and need just as much care and protection as other exposed parts of our skin. This is a good quality hand cream that really gives a great scent and makes my hands feel well nourished. A little goes a long way and it can take a little while to sink it properly! 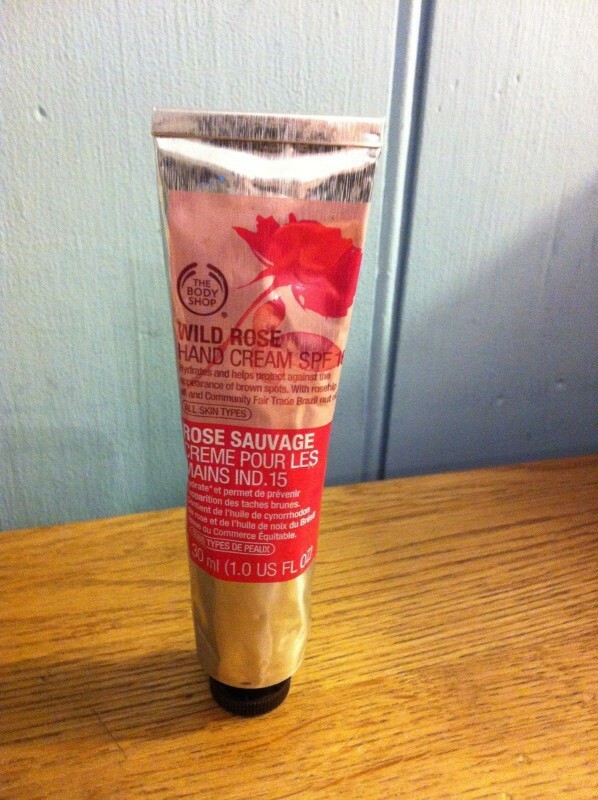 This is a lovely hand cream, especially during the Winter! It's really moisturising and effective. I don't usually like rose scented things, however this isn't too overpowering. It's not too badly priced for the quality of the product. Like relaxing in a rose garden. I'm not a fan of artifical rose fragrances but this is far from that. it is gloriously decadent. It really is a wonderful product that compares to L'Occitanes at double the price. Most amazing smell ever! I also have their hand wash in rose scent and I can't get enough of the smell. It' really moisturising and lasts for ever!